Appeals if you disagree with the outcome in your criminal law case, you can appeal the decision in the Court of Appeal. George Sten & Co assist in all criminal law appeals. Our lawyers have over 50 years experience in criminal law. For comprehensive legal advice about appeals, visit our Sydney CBD office or call us on 9261 8640 or 0412 423 569. There may not always be an automatic right to appeal a criminal case decision, and a grant of leave may apply. There are also time limits to lodge an appeal application. George Sten & Co will advise on whether you are able to appeal. We also have extensive courtroom experience to present your appeal case successfully. Appeals are a long process, requiring more evidence, and relying more on detailed case law and legislation. 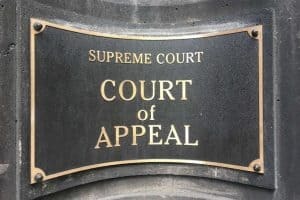 It is imperative to get an appeal right the first time, and this is the reason why your appeal case needs an appeals specialist. George Sten & Co lawyers meticulously prepare your appeal and advise you on every step of the appeal process. Call George Sten & Co on 9261 8640 or 0412 423 569 to discuss your appeal matter to receive the outcome you desire as quickly as possible. Do prisoners have any rights? Why is committing an offence on bail deemed to be aggravating? What is meant by beyond reasonable doubt in criminal law? Affray Charges, Penalties, Sentencing & Fines.